At the time of handling cryptocurrencies you also need a place to store them, that is, something similar to a bank account, with the difference that money is not fiat money but digital money, that is, it is digital money manipulated directly by its owner and not by a third party or bank. We already know better some important concepts related to this world of bitcoin, cryptocurrencies and digital money, for example, in the previous article titled What is blockchain technology? We explain in depth how this technology is the basis of all the operation of cryptocurrencies and transactions with digital money. 3 What is a seed? In order to “save” the cryptocurrencies that we have somewhere, it is necessary to have a wallet. A Wallet, as its name in English indicates, is a kind of electronic wallet where the digital money that has been purchased is stored. To operate with it, you only need the address where the transactions will be sent, something similar to a bank account. It is important to know that in the same wallet there may be several addresses associated with different cryptocurrency accounts, that is, public keys that function as account numbers, but all are associated by a unique private key that allows access to all the funds to make transactions with them. To better understand the operation of public and private keys it is good to compare it with a bank account. Both keys are created when opening a wallet: one is public (like the bank account number) and another is private (like the key of a debit card with which the account is accessed). The use of both keys is completely different and, as the name implies, the public one can be shared with everyone because it is the address or account number to which the cryptocurrencies will be sent and the private one is a registration identifier only that the owner of the wallet should have, since this is the one that will allow him to carry out operations with his cryptocurrencies. Both keys are composed of a series of alphanumeric characters that are generated in a random way and that, due to their length and complexity, it is almost impossible for them to be easily memorized. That is why Bitcoin made a very important improvement on this key aspect of the security of digital currencies and was the implementation of the seed or seed, which we will discuss in depth below. The private keys of a wallet can’t be modified and it is very difficult to recover them that is why Bitcoin devised a more friendly way of remembering them: seeds or seed. It’s a series of 12 words (without any specific connection) that if introduced in the same order can work as a method of recovering the wallet in the event of a failure in the device in which it is housed. “Outer hamster mosquito idea key rose King door mountain dog blue dress” is an example of the words that could be used in a seed. These words are generated automatically by the site where the wallet was created, and it is very important that they are kept, like the private key, in a very safe place, so that when you need to recover your wallet can be used in the same order in which they appeared when generated. We could think that when talking about wallets or wallets there is only one, but the reality is that there is a fairly broad classification based on whether or not they are connected to the internet (Hot wallets and Cold Wallets) and in turn, within those two large groups there are other subdivisions that we will detail now. Within the group of Hot Wallets (wallets that work with constant internet connection) we find the Online ones that are a service provided by a web page that is responsible for the private key of the same, those of Computer that correspond to a software provided for each cryptocurrency and whose management responsibility is solely in the hands of the user who owns the wallet. Also within the group of hot wallets are those of smartphones or simply smartphones. These are applications for the user to manage on their mobile phone and, just as in the software for computers, the responsibility of the custody of the private key rests solely with the owner of the wallet. This type of wallet is believed to be more secure because it does not use a constant internet connection. It is recommended to store those funds that will not be in frequent movement, or those that do not want to run the risk of being altered. Within this type of wallets are two fundamental types. 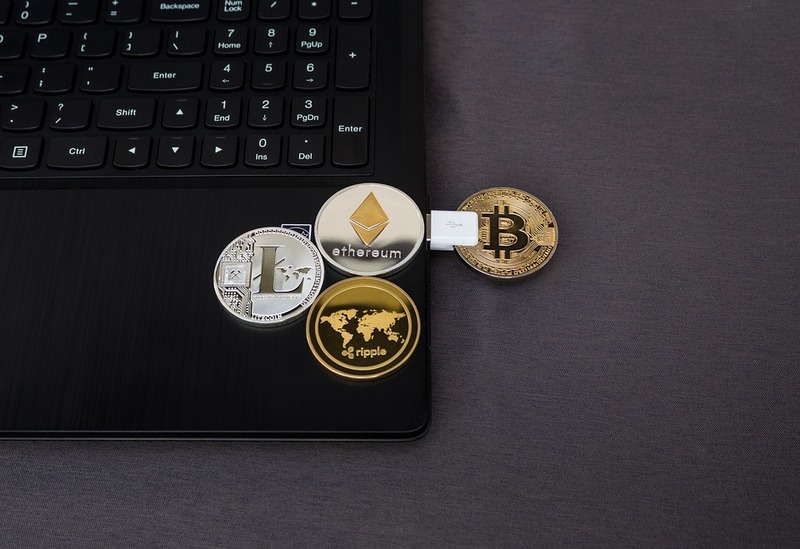 Physical wallets that are usually USB devices designed specifically to store cryptocurrencies and have an additional key or pin that prevents unauthorized persons from accessing the funds stored there. The Paper Wallets also fall under the Cold type and are sheets or vouchers issued by ATMs that carry the code of the account or a QR code to access the cryptocurrencies. What do you think about this topic? What type of wallet do you consider safer: the cold wallet or the hot wallet? If you want more information about buying and selling cryptocurrencies you can register on our website or write your query in the bottom part (comments section).